The Frankfort Arts Foundation proudly presents the EKU Guitar Ensemble on Friday, March 23, 2018 (7PM) at Kentucky State University. 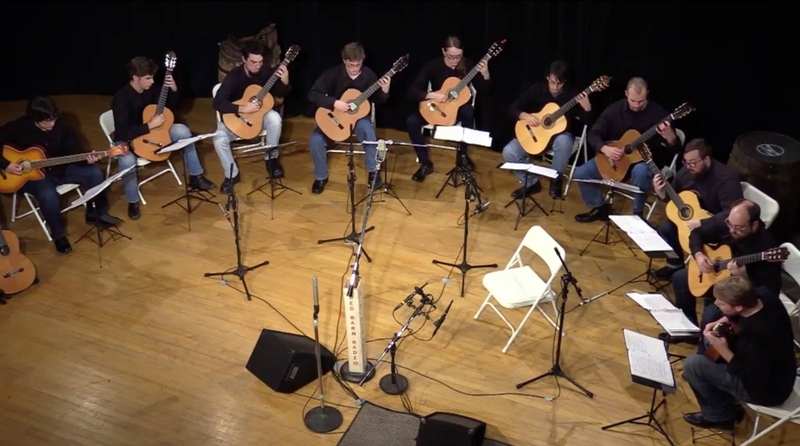 This acoustic performance features compositions by Andrew York, Celso Machado, Manuel de Falla, Francis Kleynjans, and Carlo Domeniconi. The EKU Guitar Ensemble is directed by Dr. Dennis Davis. The concert will be in Bradford Hall (400 East Main Street, Frankfort, KY). Tickets are $10/Adult. Please contact Praticia Vansant by phone (502-330-2773) or by email for more infromation. We proudly thank United Bank of Frankfort for co-sponsoring this event.